Tonight: Walk The Moon Play Vegas – Q&A Previewing Their Performance | Do You Hear The Music? Check it out, here’s a little preview of what you can expect tonight at The Yard at The Cosmopolitan when Walk The Moon takes the stage. 9 p.m. show time and it’s FREE! 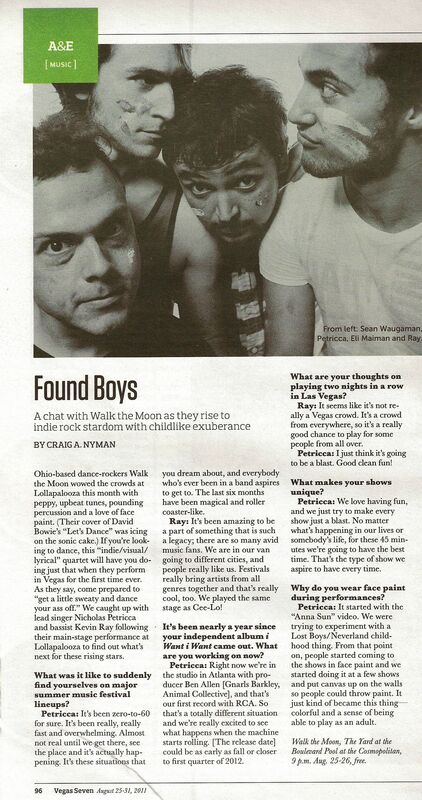 I caught up with the guys at Lollapalooza and here’s what they had to say. Always keeping us commoners informed. I would have totally missed this show if not for your blog. Thanks and see you there.